Helped facilitate a study examining the impact of childhood ADHD on parental relationships. Used coding schemes to assess behaviors exhibited by parents of children with ADHD; managed the coded data utilizing SPSS statistical analysis software program. Craft communications strategies and community outreach and engagement programs to build awareness of a major transportation program. Write, edit and coordinate production of news releases, talking points, research reports, fact sheets, newsletters, brochures, annual reports, presentations, briefing papers, proposals and website copy. Monitor, engage and report social media trends for private and public sector clients. Assist with the facilitation and analysis of public opinion research studies including focus groups, surveys, executive interviews and research reports. Plan large and small events, managing logistics, budgets, speaker preparation, background research on audiences and strategies for achieving desired outcomes. Foster and maintain strong relationships with clients to build trust and confidence. Respond to requests for information regarding a major transportation program from constituents in a federally-mandated time frame; track correspondences to comply with federal reporting requirements. Developed an outreach tracking system to record over 20 million outreach impressions for a major transportation program; created and maintained a database of 4,000 key stakeholders. Coordinated tours of the future headquarters for 200 local business executives, non-profit leaders, and government officials to further the operational goals related to the new campus. Constructed written and verbal messaging explaining the new campus’ mission and scope. Organized complex tour preparation details including diligent follow-up with tour invitees, tracking communications and tasks, scheduling, and event planning. Maintained an internal calendar tracking the foundation leadership’s community outreach and local media coverage by analyzing various sources for upcoming speaking and media events. Supported senior foundation leadership by preparing tour briefing materials. Determined important aspects of the technology startup company’s social media strategy such as target markets, outreach medium and timeframe, influencer engagement and messaging. Managed blogger relations by reaching out to influential blogs to obtain coverage of Point Inside’s indoor mapping iPhone application launch. Secured significant blog coverage, including leading technology blog, Gizmodo. Participated in student-run organization to obtain hands-on experience in the PR field. Attended national conferences and regional activities with PRSA parent Chapter. Organized events, recruited members, and drafted press releases, feature articles, advertising and brochures relating to our Chapter. Attended weekly meetings to critique work of fellow students, organize club events and increase campus exposure to club. Aided in execution of local and national PR campaigns, increasing exposure and publicity for clients such as Starbucks, The Oceanaire Seafood Room, Touchstone Corporation, REI and the Washington Wines Festival. Launched and managed The Frause Blog with weekly posts about internship experiences (http://frauseblog.blogspot.com/). 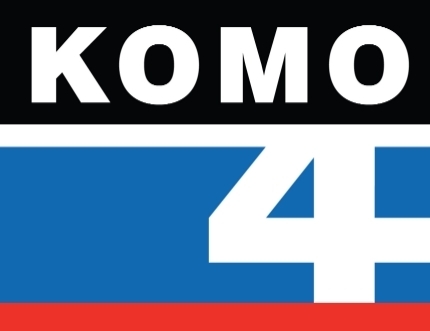 Developed and executed pitches to key print, online and broadcast media in Northwest region; followed-up with reporters' inquiries and requests. Drafted, edited and disseminated press releases, Web site and newsletter copy. Created new and updated existing media lists utilizing Cision. Assisted with various media events such as dinners, tastings, and demos by coordinating activities and ensuring smooth operations for client satisfaction. Conducted critical research for clients' marketing efforts. Coordinated clients' press kits and distributed to media outlets and vendors. Photographed headshots for clients as a designated in-house photographer. Prepared annual public relations event for more than 500 Cornell University employees by advertising it on campus and to outside vendors; organized door-prizes. Collaborated with Cornell University's VP of Communications to gain understanding of communications and public relations tactics executed on campus. Provided dining service for this world famous vegetarian restaurant by catering to guests' needs and fostering enjoyable dining experiences. Participated in a one-week intensive hospitality industry training at the world-renowned School of Hotel Administration. Served guests at both large conference events and small private events. Eight years of work in hospitality industry. Specifically Facebook, LinkedIn, Twitter, and Blogger. Specifically Word, Excel, Access, PowerPoint and Outlook.